So whilst caffeine may hamper insulin sensitivity, other properties in coffee have the opposite effect. 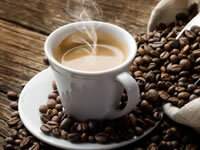 It is therefore believed that decaffeinated coffee may present the best option for people with diabetes as researchers find it includes the benefits of coffee with some of negative effects that are associated with caffeine. Some varieties of coffee need to be approached with caution by those of us with diabetes. Coffees with syrup have become a much more popular variety of coffee within the 21st Century but could be problematic for people either with, or at risk of, diabetes. If you have diabetes, or are at risk of diabetes, it is advisable to reduce your exposure to too much sugar. If you wish to enjoy a syrupy coffee from time to time, pick the smaller sized cups and drink slowly to better appreciate the taste without dramatically raising your blood glucose levels. Another modern trend in coffee is in the popularity of lattes, very milky coffees. Lattes present two considerations: the number of calories in the latte and the amount of carbohydrate in them. Whilst skinny lattes are usually made with skimmed milk, some of them may be sweetened which will raise their calories. Milk, whether full fat or skimmed, tends to have around 5g of carbs per 100g. A regular, unsweetened skinny latte can typically contain anywhere between 10 and 15g of carbohydrate.